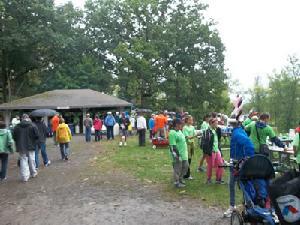 The JDRF Walk to Cure Diabetes brings people together for a worthy goal. It’s especially fun for friends and families and is a great way to teach kids how to get involved. This year, we’ll be walking at Long Branch Park in Liverpool, NY (View Map). Get Involved – Participate in a walk in your area! Click here to find a walk near you. Can’t make it to a walk? How about making a donation to our team? JDRF is the leading global organization focused on type 1 diabetes (T1D) research. Driven by passionate, grassroots volunteers connected to children, adolescents, and adults with this disease, JDRF is now the largest charitable supporter of T1D research. The goal of JDRF research is to improve the lives of all people affected by T1D by accelerating progress on the most promising opportunities for curing, better treating, and preventing T1D. JDRF collaborates with a wide spectrum of partners who share this goal. Since its founding in 1970, JDRF has awarded more than $1.6 billion to diabetes research. Past JDRF efforts have helped to significantly advance the care of people with this disease, and have expanded the critical scientific understanding of T1D. JDRF will not rest until T1D is fully conquered. More than 80 percent of JDRF’s expenditures directly support research and research-related education. 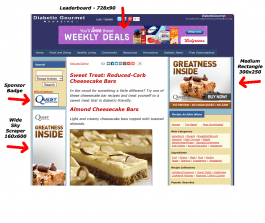 Since 1995, Diabetic Gourmet Magazine has been a premiere online magazine dedicated to diabetes living. The combination of award-winning content and a targeted audience creates a powerful, cost-effective tool for premium brands interested in reaching people living with diabetes.